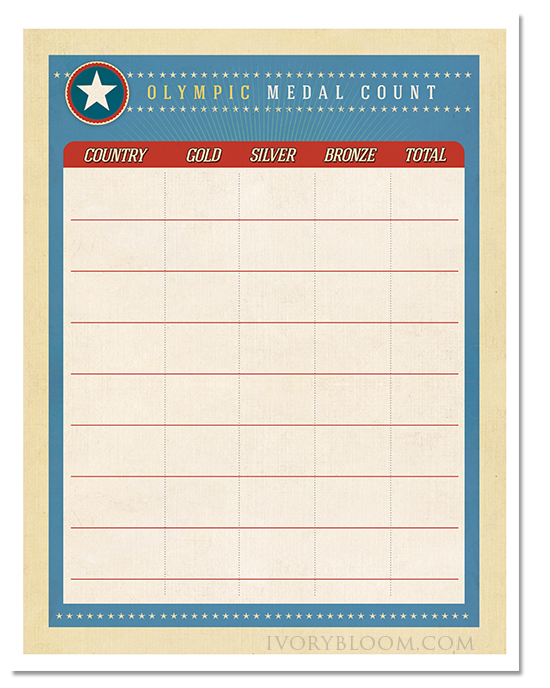 Here are some exciting family history activities you can incorporate into your Olympic celebrations. You could go ALL out and celebrate the entire two weeks, or just pick one day to do something fun. 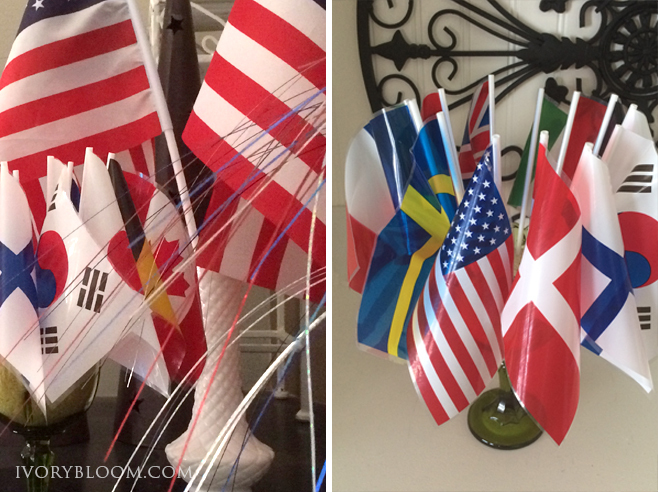 • Cheer for your HOME team (native country) and then your ROOTS teams (ancestor teams). I used the fan/countries chart found on familysearch.org in the consultant planner to find our “roots" countries. Each country is connected to a specific ancestor. 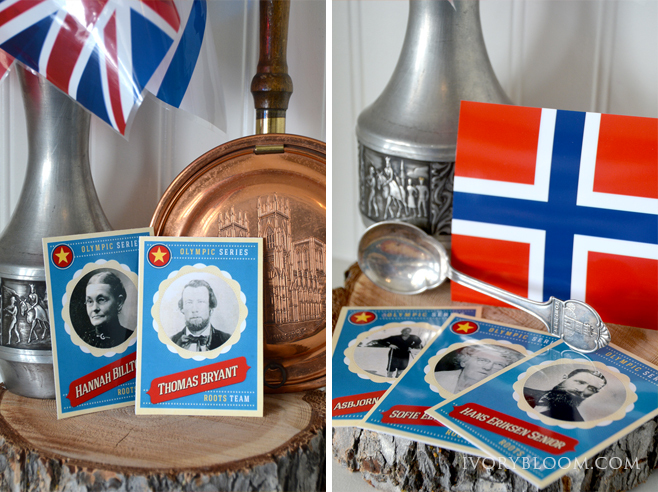 • Print 4x6 flags for each country your ancestors came from and then make a banner. Print all the countries, or just choose a few. You can create a separate set of flags for the maternal line and a set of flags for the paternal line. You can find a list of competing countries on the Olympic website. 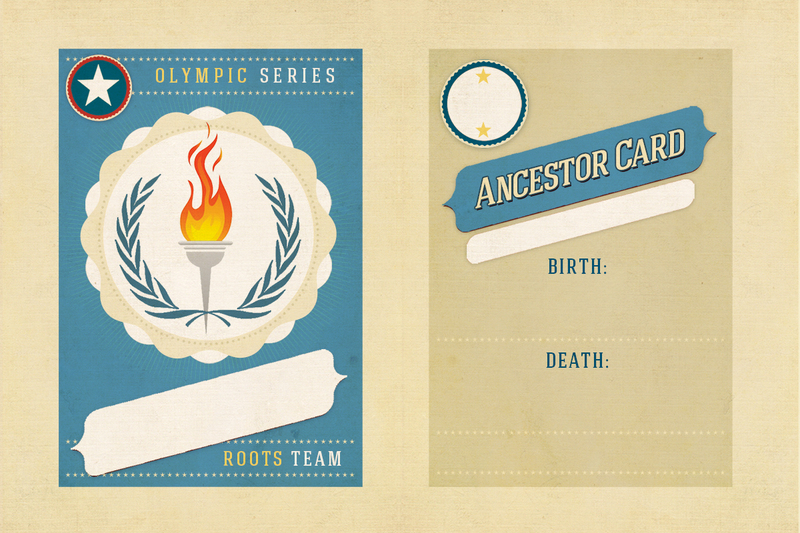 • Create Ancestor Cards (like athlete cards). 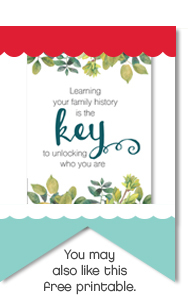 On each card list your ancestor's full name, birth date and place, death date and place, age when they died and interesting facts. 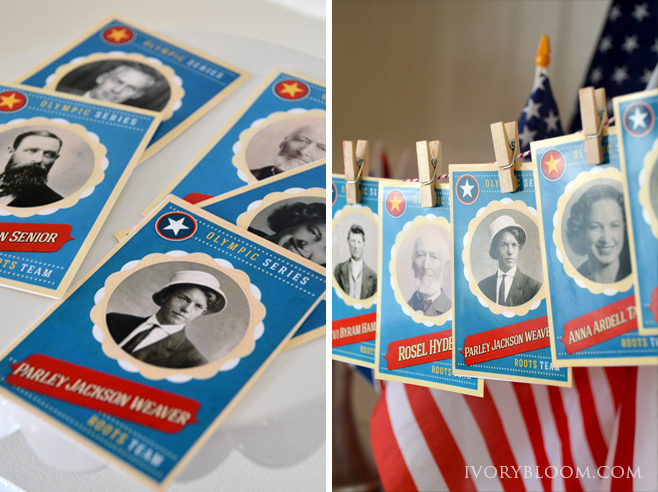 I'm planning on pinning these ancestor cards to the banner by their country flag. To make the cards, right-click on the card image and save to your desktop. • Use a photo editing software to add the details, or simply print the file as a 4x6 photo print and add the details by hand. 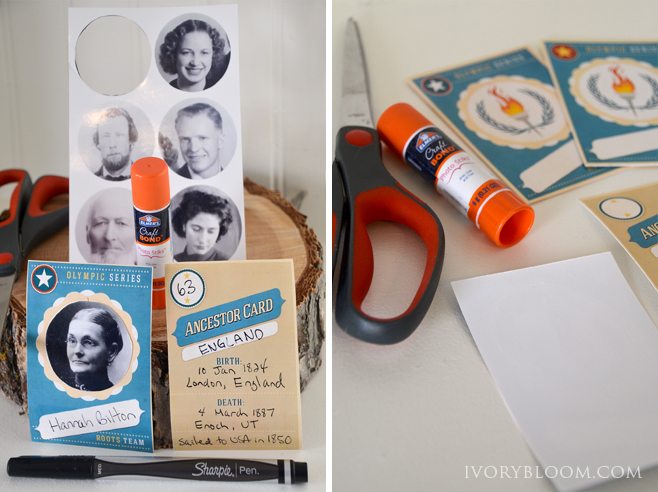 If you want to print an ancestor's photo to glue in the circle, print the background card first, then measure the circle to find your exact measurement. Each processing center varies and so can the end size of each circle. 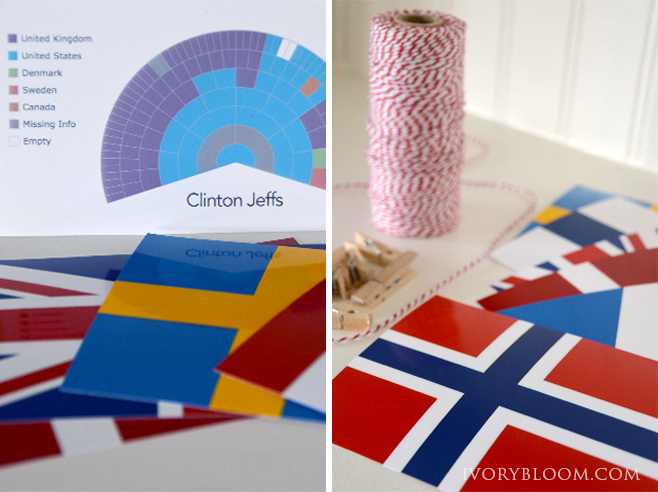 Once you have the background card printed, measure the circle and print your photos to that size. 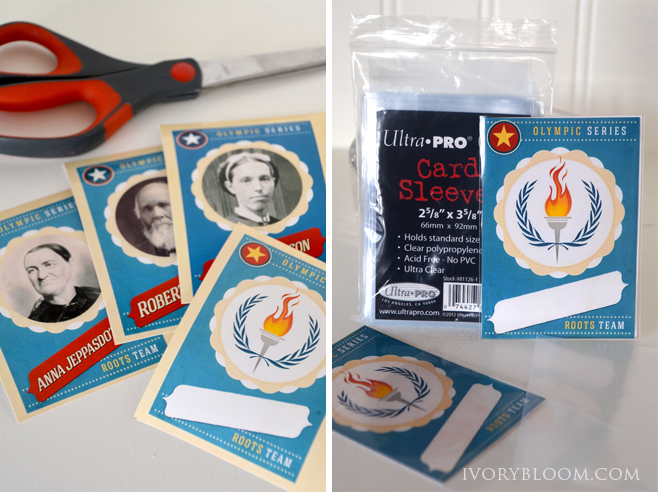 If you don't have a photo, just leave the torch and laurel leaves graphic as is. 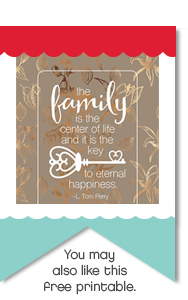 • Cut the 4x6 photo print in half and trim the edges of each card. If you'd like to use a baseball card protective sleeve, you'll want your final trim size to be just under the size of your sleeves. You can use a glue stick or other adhesive to stick the two sides together. Write the information with a ballpoint pen. I tested quite a few permanent markers, and they all smudged. 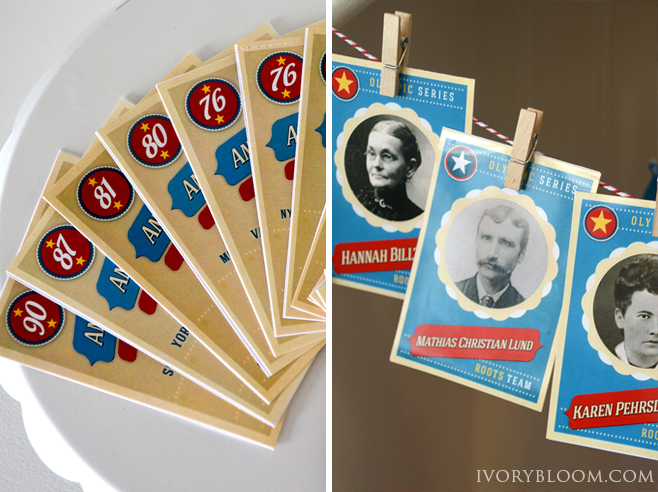 • If you have lots of little hands touching the cards, consider laminating them so you can use them forever!!! 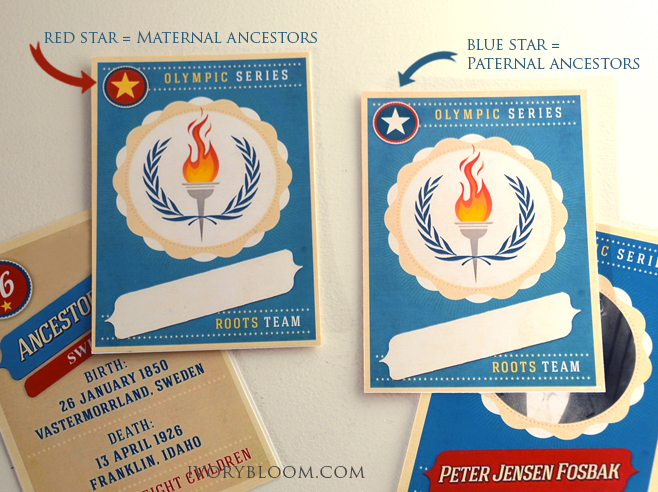 Maybe add some new Ancestor Cards to your collection each Olympic games. • Throughout the games tell stories about your Roots Ancestors that are unique to the area. For example, I have a Grandma from Norway who would cross country ski to get around her town. 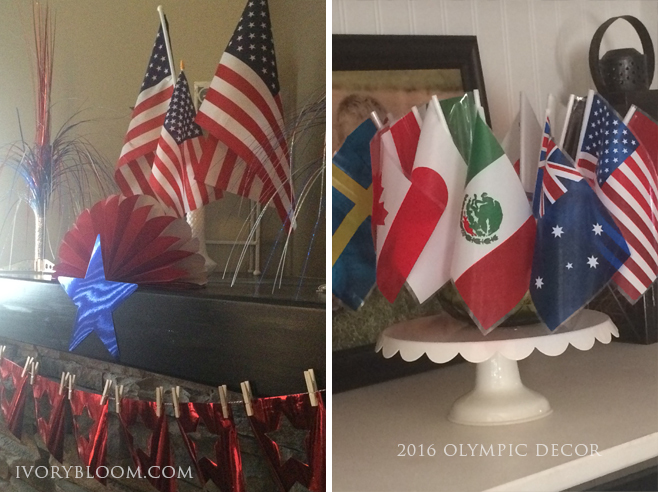 • Take out items from your Roots countries and display them for the course of the games. 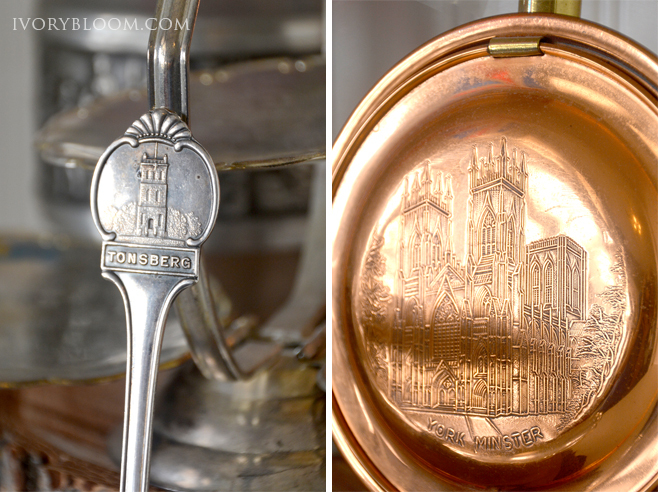 Tell stories about the items and where they came from. I have Norwegian spoons, vases and other heirlooms that I can bring out of the cupboard, wipe-off the dust, and share with my boys. My dad served his mission in England (where half of our ancestors came from) and I have some treasures he has given to us that we can can talk about and enjoy. • Display a globe or world map so the kids can find the different Roots Countries. • Make a countdown paper chain for the opening ceremonies. Use the Olympic colors: black, green, red, yellow and blue. The home page for the games has a countdown. 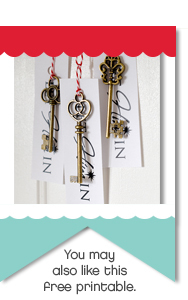 • Keep a medal count for the Home Team and Roots Teams. 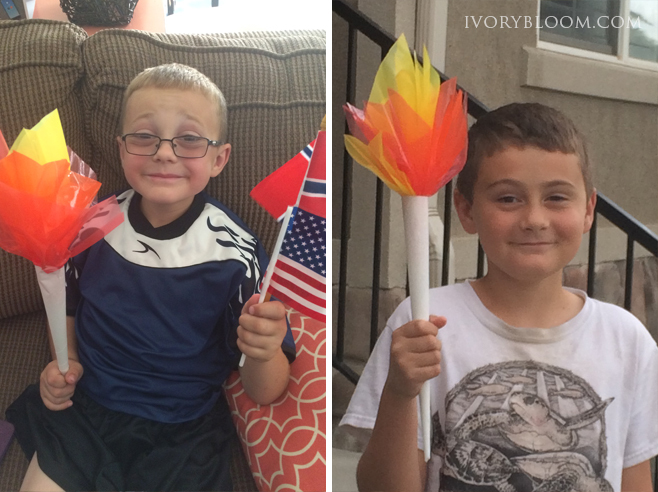 • Make paper torches the kids can march with during the opening ceremonies. 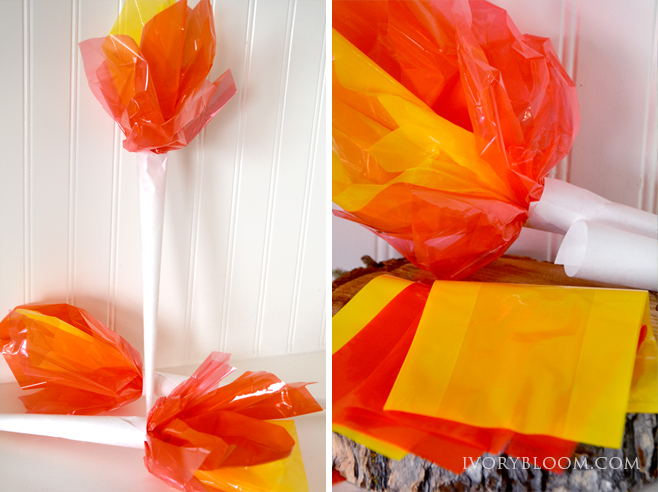 Use cotton candy paper cones and cellophane bags to cut out the flames. Pinch the ends of the cellophane and glue into the opening of the cones. • Make food items or treats from one of the countries. You could do this once or multiple days throughout the games. 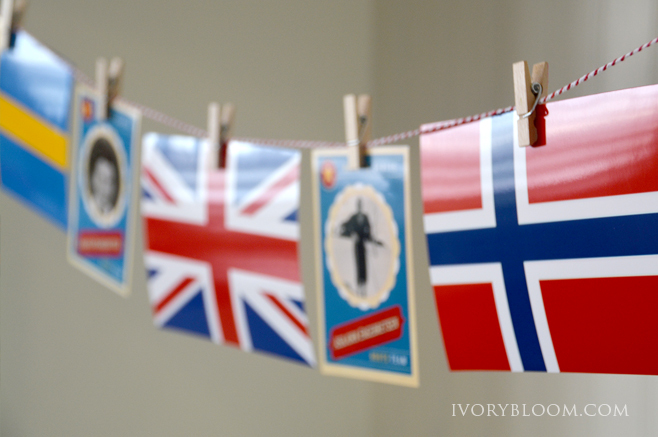 My sisters bring our Norwegian heritage to life. Our Aunt Berit taught them how to make Krumkake cookies. 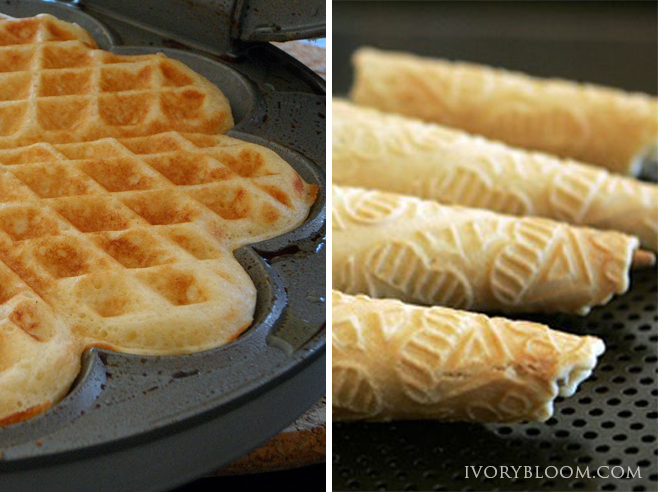 Krumkake is a Norwegian waffle cookie made of flour, butter, eggs, sugar, and cream. You use a special decorative two-sided iron griddle to make the thin round cakes. 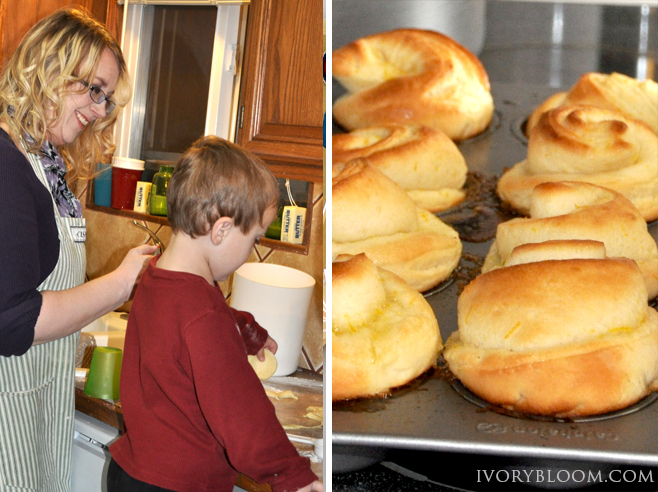 My Grandma Golightly always made amazing homemade orange rolls and clam rolls for every family gathering. This photo shows how my sister involves her nephews in making these rolls. Both of my sisters are keeping these family traditions alive. • Dress in the colors of your Home Team or one of your Roots Teams. • Play music or sing songs from some of your Roots Countries. • Learn to say “hello, goodbye and family” in the different languages. • Have kids illustrate a story from an ancestor. 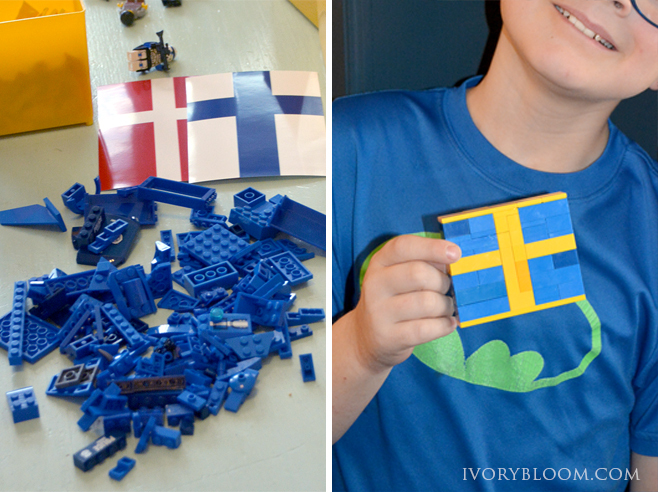 • Use LEGOs to create flags for your roots countries. The GREAT thing about any effort you do, is it can ALL be used every two years and eventually with your Grandchildren and Great-Gandchildren! You can easily order your supplies online.